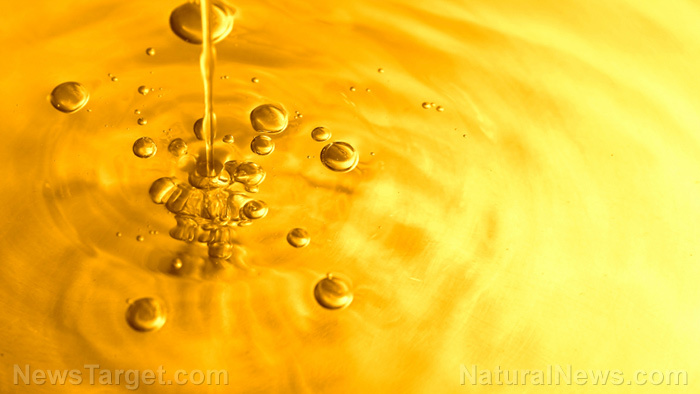 (Natural News) The European Food Safety Authority (EFSA) recently updated its recommendations for the tolerable daily intake (TDI) for 3-MCPD, a contaminant commonly found in refined vegetable oils and fats. The updated guidelines raised the TDI for the oil contaminant from only 0.8 micrograms per kilogram of body weight to 2.0 µg/kg bw. The current TDI is two and a half times higher compared with that published in 2016. The Joint FAO/WHO Expert Committee on Food Additives (JECFA) limits 3-MCPD intake to 4.0 µg/kg bw, the researchers said. “EFSA decided to review its assessment after the UN’s [United Nations’] JECFA subsequently established a different safe level (TDI). In the meantime EFSA updated the method we used to calculate our previous TDI — what’s called the benchmark dose (BMD) approach. We checked again the data concerning effects on development and reproduction, particularly on male fertility as these were highlighted by JECFA. We calculated at which possible adverse effects on the kidney and on male fertility could occur. The updated TDI is protective for both types of effects,” Professor Christer Hogstrand, who spearheaded both the 2016 and the current update, told Nutra Ingredients online. Henri Rieux, president of the trade group FEDIOL, noted that the update has an important implication in risk management discussions. FEDIOL represents the interests of oil and protein meal suppliers and manufacturers across the European Union (EU). “Mitigation of 3-MCPD esters is particularly complex. It requires an integrated approach including preventive measures in the country of origin and processing changes, whilst at the same time maintaining other safety and quality parameters and meeting customer and consumer demands,” Rieux said. The EFSA stressed that the update was only for the 3-MCPD and its esters. The EFSA itself confirmed that exposure to the oil contaminant may compromise the kidneys and male reproductive health. According to the update, male rats exposed to more than one milligram of 3-MCPD over a short period showed significantly reduced sperm motility and male fecundity. Data from long-term trial also revealed that rats exposed to higher doses over an extended period exhibited marked declines in sperm count. A vast number of studies have also found a link between 3-MCPD and various adverse medical conditions. For instance, a study published in the Journal of Toxicology and Environmental Health showed that the harmful oil contaminant possesses strong antifertility properties that may inhibit reproduction. The researchers examined a group of male rats that were given up to 5 mg/kg of 3-MCPD for four weeks. The results revealed that the oil contaminant altered the pH levels in the cauda epididymis, which in turn affected sperm maturation and motility. “The paternal administration of 3-MCPD (5 mg/kg) was found to result in adverse effects on male fertility and pregnancy outcome without inducing remarkable histopathological changes in testes and epididymides…3-MCPD lead to a disruption of sperm maturation and the acquisition of motility…Additionally, 3-MCPD (5 mg/kg) significantly reduced sperm motility, copulation, fertility indices, and the number of live fetuses showed steep dose-response curves,” the study’s abstract read. Likewise, a study published in the Journal of Toxicological Sciences showed that 3-MCPD exposure may induce apoptosis or cell death in human embryonic kidney cells. Data from a series of MTT assay and high-content screening revealed that the toxic component inhibited cell proliferation and reactive oxygen species generation. Likewise, the researchers found that nine apoptotic genes were up-regulated by more than twofold following 3-MCPD treatment.